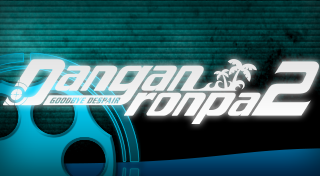 The sequel to Danganronpa: Trigger Happy Havoc, I was excited to play this game since I thought that the first game was unique and very interesting in story and concept. This game is directly tied to the first game, so my advice is, play the first game before this one and you will appreciate it more. In Danganronpa 2, you are a student who is invited to an island trip and you discover that it is actually a trap and you are now part of a game. The game is, you are stuck on this island, in order to get off the island, you need to murder a fellow student and get away with it. Once the murder has happened, a trial takes place and if the murderer is not accused of the murder, they are free to go and everyone else dies. If the murderer is accused, the murderer dies and the game continues for the remaining students. In the game, you wander around, meet up with students and just explore the world, much like point-and-click adventures games in the past. You never actually commit murders, they always seem to take place and your job is to find clues after it happens, and then you need to determine who committed the murder and explain how it happened. It plays the same as the previous games, however, the trials are a bit different and in my opinion, they were changed for the worse. I found that the games were too difficult and just not really fun in my mind. It was more stressful and annoying than it should have been because I liked the difficulty in the previous game. I hope that the next game will fix these. Also, some of the contradictions were really obtuse and I actually had to find an FAQ to determine the answer. I was happy to learn how it ties to the first game and I am interested in seeing how the next game works. I have no issue suggesting the game to someone who enjoyed the first game, however, you will notice that it follows a similar flow, however, it gets explained in the end and I thought it was really smart how they do this. I am looking forward to the next game, but I do strongly suggest that you should play the first game before this one. Come back next Wednesday for my Final Thoughts on Bonza for Android. For you gaming PC, it is sufficiently adequate to have the SATA if your motherboard can bolster it.